Yet quite a large amount of people are fond of iPod even though iPad and iPhone sales have far exceeded this classic Apple product. More features are added to iPod but it's stereotype of being a portable music player still heavily engraved on user's mind. 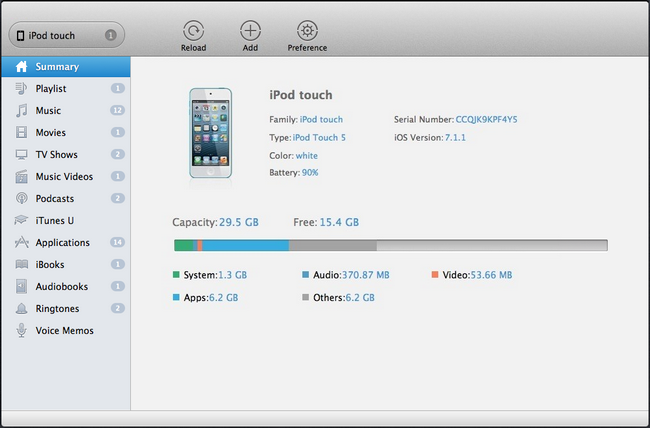 As a result, user might need to transfer music from iPod to Mac as to keep a backup or free space for other files. Frequently update your Mac OS may lead to data lost includes media files stored in iTunes library. Don't you want to find a way out to export music to computer local so that you can transfer them to other portable device? Myjad TransPhone is an all-round iOS data managing program which enables you to free transfer songs, photos, videos, applications, audios etc. from/to iDevices from/to computer. It's unique and formidable playlist management feature allows you to create, add, edit, remove and merge playlists on different devices. Run TransPhone and connect your iPod to Mac. The program of TransPhone would search your iPod automatically. If it does not, you can connect your iPod again or try to run the program in second time. Then the main interface of it will pop up on Mac automatically. When you got the information of iPod, then you need to choose which music you need to be transferred when you click the button of "Music" button on the left list. Then after you choose them, and hit "To Mac" button at the top margin. In a short time, the folder interface of Mac will be shown soon to notice you to choose a storage path on Mac and then hit "Open" button at the corner. 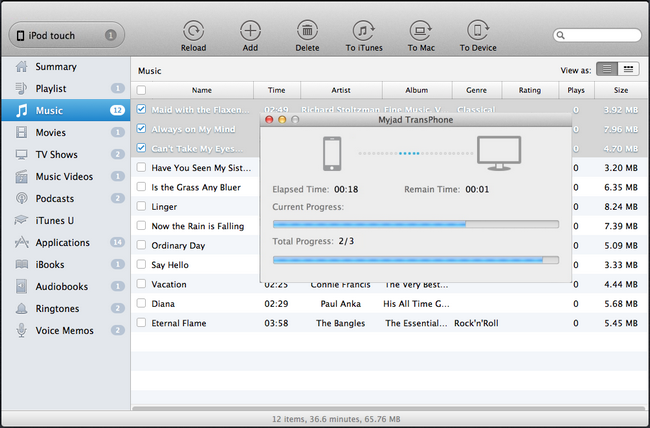 The process of transferring you can see on the small interface which pops up after clicking "Open" button. 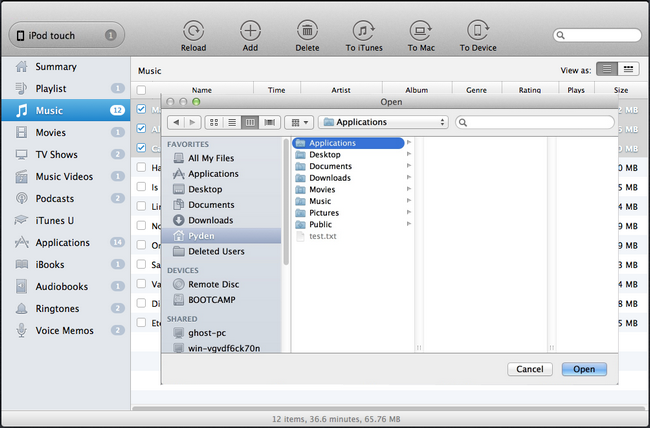 And after all of music files are copied to Mac, you can enjoy music on Mac immediately. See! How easy it is. Let's download TransPhone and share the music with friends and families together!